Cedar Counselling is a charity based in Oldbury, West Midlands, offering a wide range of counselling approaches and psychological support services to suit your individual or organisational needs. We have a range of appointments available for assessments; please phone our friendly receptionists or email in confidence. Sam is a UKCP registered Integrative Psychotherapist with extensive experience offering both short and long-term Counselling and Psychotherapy to individual adults, couples and young people. 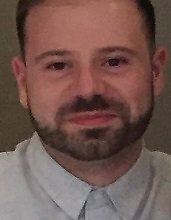 He has worked at Cedar Counselling since 2013, where he started as a therapist and clinical assessor; as well as supporting management in the delivery and improvement of clinical services. 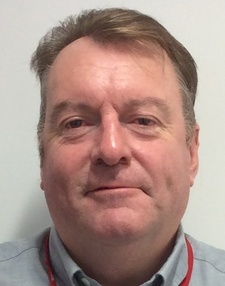 He has held his current role of Clinical Director since 2015. Sam is passionate about Counselling and Psychotherapy and is working hard to ensure that the service continues to offer high quality Counselling and Psychotherapy to all clients. Sam has a strong belief that open-ended Counselling and Psychotherapy services should be made accessible to all. Lisa joined us in January 2017, coming from a background of practice management. Lisa qualified as a counsellor in 2009 and combines her practice management background with her counselling skills to coordinate Cedar Counselling operational side. Ellie trained in Integrative Psychotherapy at The Sherwood Psychotherapy Training Institute and was awarded an MSc in Integrative Psychotherapy from Staffordshire University in 2016. Her final thesis involved considering how yoga and mindfulness play a part in self-care and personal integration. She is a BACP and soon to be UKCP registered psychotherapist with five years’ experience of working as a counsellor and a trainee relational developmental psychotherapist at a counselling service for women in Nottingham. In this role, Ellie engaged in initial assessments as well as short and long-term work with clients. Ian is a qualified BACP registered integrative counsellor who is experienced in working with adults, couples and young people. Ian has been part of Cedar Counselling since October 2014. Ian is very aware that taking the first step into counselling can feel daunting. He however provides a safe space for you to explore unresolved issues and emotional difficulties. Ian believes that beginning your counselling journey will enable you to become self aware and begin to take control of your life by challenging negative and unproductive thoughts and patterns of behaviour. From an NHS background, Kelly has over 5 years experience working as a therapist is a UKCP Reg. Integrative psychotherapist and a member of BACP. Kelly started working with Cedar Counselling in 2014, as well as running a private practice from Birmingham and Nottingham. Other than the above Senior/assessment team we have a bank of over 35 volunteer therapists who are qualified or in advance training (level 6 and above). Helen joined us as our administrator in June 2016. Helen gained a wealth of administration and supervisory experience whilst working within the Civil Service. Cedar Counselling has received the Big Society Award from the prime minister in recognition of its service to the communities of Birmingham.